Just like your car, your HVAC system requires regular maintenance to keep it running at optimum efficiency. Even your newly purchased air conditioning unit needs consistent tune-ups and servicing to prevent unnecessary problems in the future. If you doubt the benefits of regular HVAC maintenance, read these consequences to realize its importance. Ideally, your heating and cooling systems show signs and warnings when they are close to breaking down. They may stop working any time this month or year at the most inconvenient time. You surely do not want it to happen in the midst of a long summer season, do you? Unexpected system breakdown leads to expensive repair costs, and this commonly happens due to lack of proper maintenance. If you do not take good care of your system, expect to receive a costly emergency repair. Does it look like your system is at good state? You better have a second look because your bare eyes do not always see what experts can. There could be problems hiding on the surface of your HVAC equipment that can only be identified by professionals. If you would ignore regular maintenance, how would you know if your heating or cooling unit is in good condition? Proper maintenance can keep you from paying high energy bills and help avoid inefficient HVAC system operation. Has it been a while since your system had a checkup? You must ensure that your cooling or heating unit is checked and maintained regularly. Get a dependable HVAC contractor to perform a complete inspection to prevent the mold from building up. Mold is the last thing you would want in your house especially if someone in the family has asthma or respiratory issues. Leave no room for mold by having your system checked at least twice a year. Air contaminants may invade your home if you do not take HVAC maintenance seriously. Dirt, dust, and allergens can accumulate in your air conditioning unit or furnace that may pollute your indoor air. These airborne particles may infect your home and endanger your family. 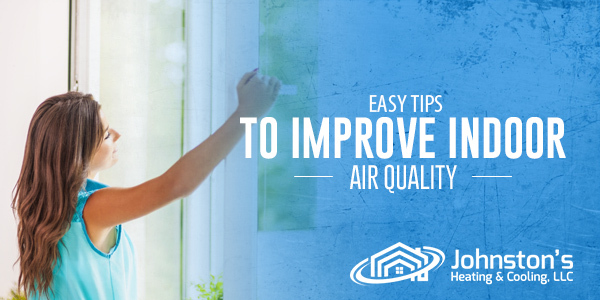 Call the experts to look after your system so you can breathe in clean and healthy indoor air. Give us a call or leave a message for a system inspection or maintenance today. Our professionals at Johnston’s Heating and Cooling, LLC ensure to keep your system working at peak efficiency throughout the year. Contact us now! What Size of Gas Furnace Do I Need?